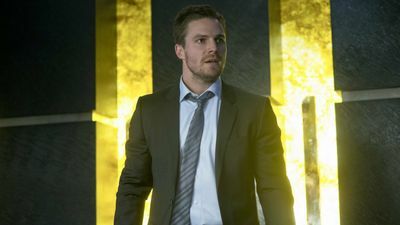 Here's where to watch every episode of Arrow season 2. Mouseover or tap an episode to see where to stream it. Click or tap the play icon to stream it on the best available service. 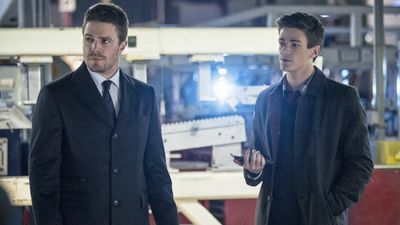 The Scientist Dec 5, 2013 When a superhumanly strong thief robs a Queen Consolidated warehouse, Central City police scientist Barry Allen comes to Starling City to investigate the case. 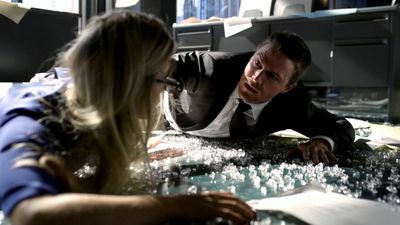 However, despite his close working relationship with Felicity, Oliver suspects that there's more to the young scientist than meets the eye. Meanwhile, Sin asks Roy to help investigate the disappearance of a friend. In the past, Oliver, Shado, and Sara try to get Slade to the submarine so they can use the serum to save his life. Three Ghosts Dec 12, 2013 After covering from a near-fatal drug overdose, Oliver begins hallucinating people from his past. 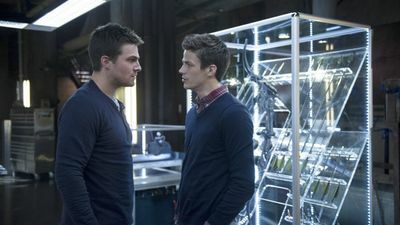 Believing he's a liability, Oliver gives the information he has on Cyrus Gold to Quentin... which results in the deaths of several police officers. Meanwhile, Brother Blood captures Roy and uses him as a test subject for his new serum. In the past on the island, Ivo gives Oliver an impossible choice to make. Blast Radius Jan 16, 2014 A bomber nicknamed Shrapnel has set his sights on Sebastian Blood, and Oliver dons his mask to protect his newfound ally. 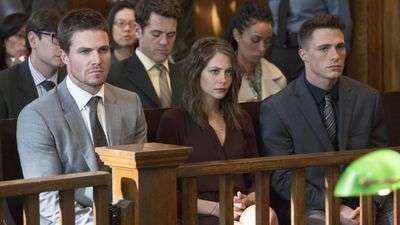 Meanwhile, Laurel investigates Sebastian's aunt who is locked up in a mental institution, and Thea learns about Roy's newfound superstrength. Blind Spot Jan 23, 2014 When her father won't believe her accusations against Sebastian, Laurel turns to the Arrow for help. 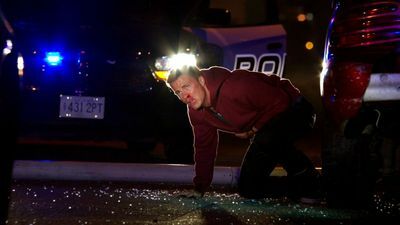 Oliver has his own doubts about Laurel, particularly when she is arrested on a charge of drug possession. Meanwhile, Roy sets out to test his new abilities but goes berserk, putting a man in the hospital. Tremors Jan 30, 2014 While the Arrow trains Roy how to control his anger--and his super-strength--Bronze Tiger steals a prototype of Malcolm's earthquake machine to sell to an arms dealer. 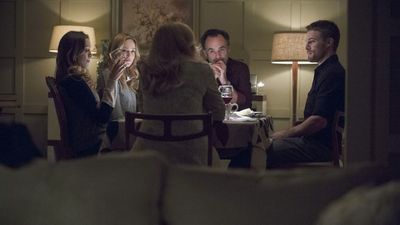 Meanwhile, Laurel discovers that she's being disbarred and goes out of control, and Walter has an offer for Moira. 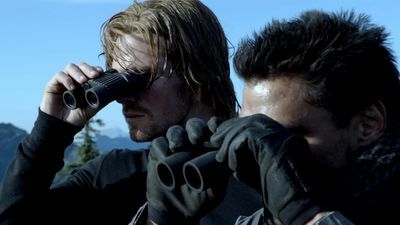 On the island, Oliver wonders whether to tell Slade the truth about how Shado died. Heir to the Demon Feb 6, 2014 As Laurel continues to unravel, Oliver and Lance try to convince Sara to stay in Starling City and finally reunite with Laurel and Dinah. However, Sara’s fellow League of Assassins member, Nyssa, comes to bring Sara back to the fold, but when Sara refuses, Nyssa kidnaps Dinah. Realizing she’s putting her family in danger by staying in town, Sara considers re-joining the league. Time of Death Feb 27, 2014 A master hacker dubbed Clock King coordinates a series of raids on banks in Starling City, and his skills prove a match for Felicity. Meanwhile, Laurel's grudge with Sara continues and on the island, a pilot crashes his plane there and Sara tends to the dying man. The Promise Mar 6, 2014 In the present, Slade visits Oliver and makes his intentions clear. 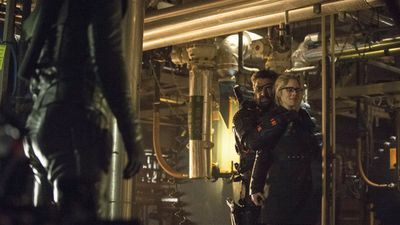 Five years earlier, Slade, Sara, and Oliver launch their assault on the Amazo, but things go wrong when Slade learns that Oliver was responsible for Shado's death. Suicide Squad Mar 20, 2014 While Oliver deals with the pressure of Slade's threats against Oliver and his loved ones, Amanda Waller with A.R.G.U.S. recruits Diggle for a black ops mission. 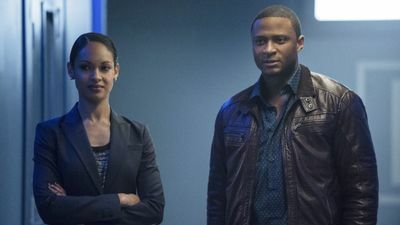 Diggle is happy to learn that he'll be working with his ex-wife Lyla... but not so thrilled that three convicts will be going on the mission with them. Birds of Prey Mar 27, 2014 The Huntress returns and takes hostages at the courthouse when her father is arrested. 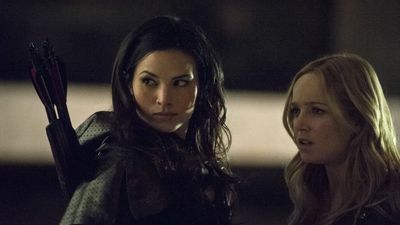 Laurel is among those taken, which prompts her sister, the Canary, to battle the Huntress in an epic confrontation. Meanwhile, Roy tries to keep Thea safe, but he doesn't like the way he is forced to do it. Deathstroke Apr 3, 2014 Sara and Roy become prisoners at the Slade and the only one who is able to save them is Oliver Queen. 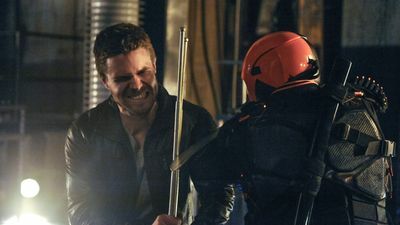 The Man Under the Hood Apr 17, 2014 When Oliver and his team destroy Slade's centrifuge, he attacks them as Deathstroke to get what he needs to find a replacement. 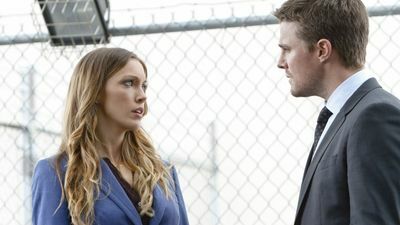 Meanwhile, Laurel ponders what to do with Slade's information, and Oliver tries to convince Thea to help him protect their finances from Isabel. Seeing Red Apr 24, 2014 The Mirakuru sends Roy into an uncontrollable rage and he unleashes on the city. Oliver realizes the Mirakuru has taken over Roy completely and must figure out a way to stop him. 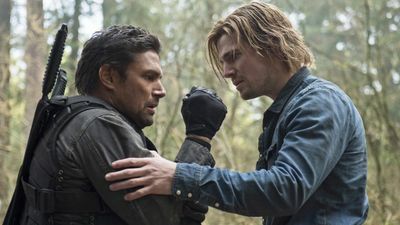 City of Blood May 1, 2014 After the death of someone close to him, Oliver decides to give himself up to Slade rather than risk further bloodshed on his friends and family. Meanwhile, Laurel renews her investigation into Sebastian Blood, and Slade makes his final plans to unleash his Mirakuru-enhanced army on Starling City. 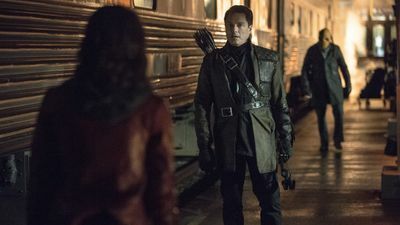 Streets of Fire May 8, 2014 Oliver rallies his team as Slade's soldiers attack the city. Felicity gets a call from S.T.A.R. 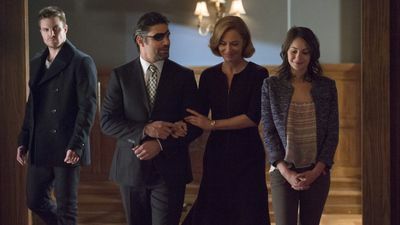 Labs with game-changing news and Thea comes face-to-face with her father. Unthinkable May 15, 2014 As Oliver's face off with Slade escalates, his resolve to the no-kill rule is tested. 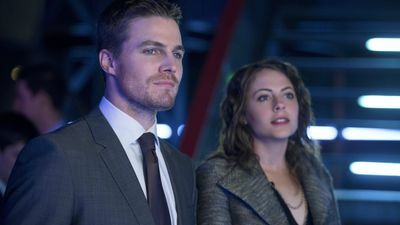 Especially as Slade targets the woman Oliver loves.